Tip 1: Feet in. Make sure your heels are planted in the floor and tucked in closer to the bench. Tip 2: Finish towards your sternum. 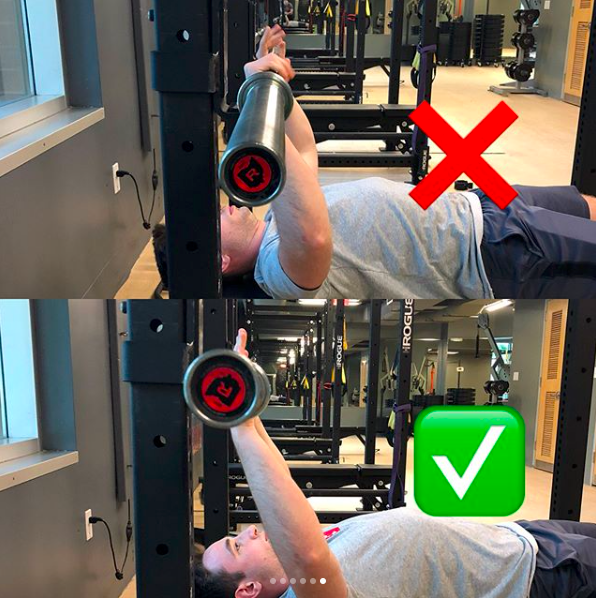 This is the correct ending position for the bottom half of your rep. Tip 3: Proper hand position. 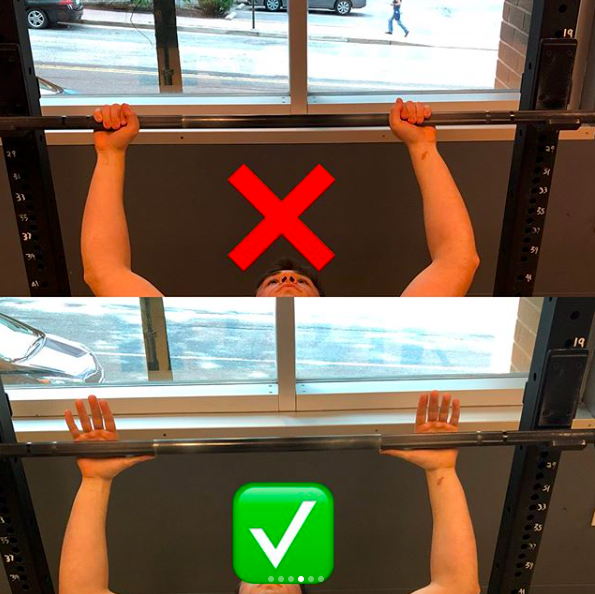 Make sure your hands are even on both sides of the bar. Tip 4: Wrists straight. Don’t let your wrists curl back towards you. 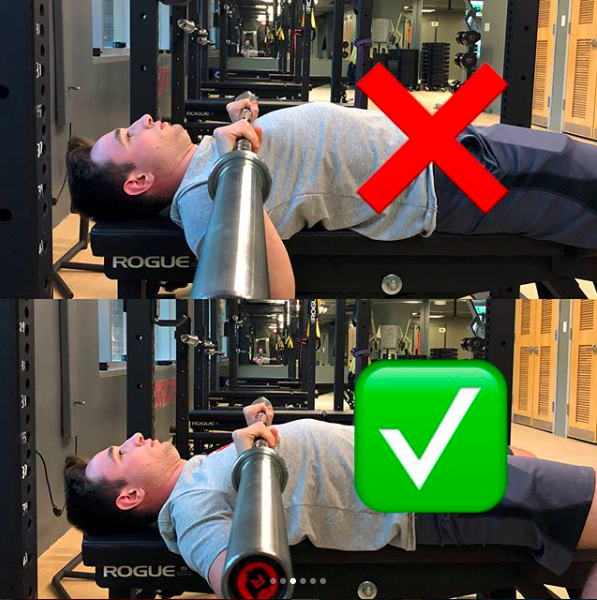 Tip 5: Eyes under the bar at the start. This makes sure you aren’t repping into the bar holders.